Maple wood, acid edged glass ,hand made French polish. 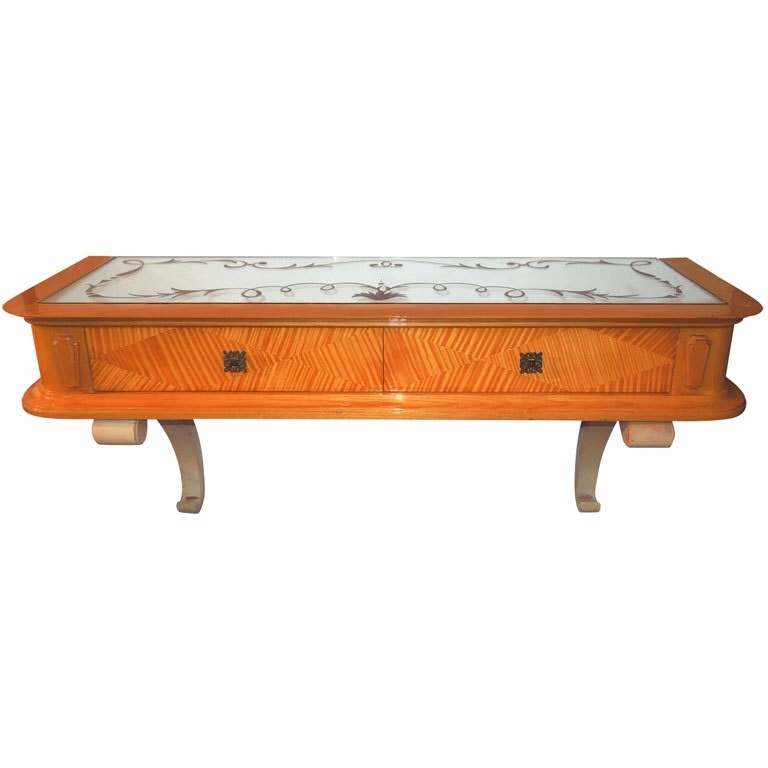 Art-deco console table in maple.The top is covered by an acid egded mirror.Two small drawers in the front with brass handels.The console is fixed on the wall . Opening hours: From Tuesday to Sunday between 11 am and 6 pm.